Desk, 19” w x 10” d x 6” t, with original key. Inlaid brass emblem identifes the desk as “John Wilson, 1839”. 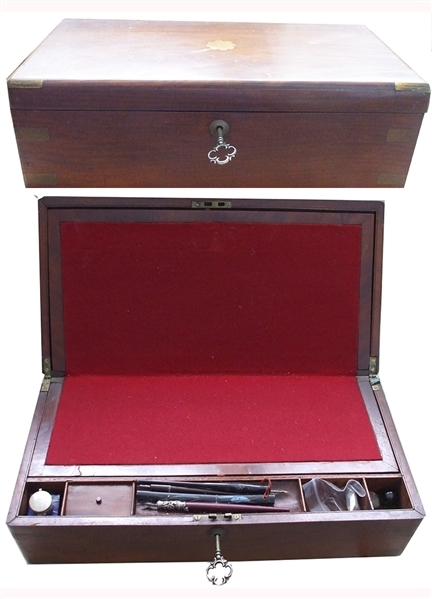 When opened, the writer has a felt covered writing area, deep storage are, pen, ink ect, cubby holes. Each exterior corner has brass corners and brass handles on either side.